There’s a lot of options that you can choose when you need to figure out the most effective way to shred your company’s documents. Most companies start with the reliable first option- a reputable, diligent employee and a $30.00 shredder from your local electronics store. You can even invest in the better in-house shredders to ensure secure and critical documents aren’t thrown away and “discovered” by your competitors or identity thieves. Here’s our question to you: Are you really saving that much money by shredding your documents this way? There’s a lot of other things that factor into shredding your documents in-house instead of using a mobile shredding service or shipping your documents off-site to be shredded. Let’s take a look at some of these items to ensure that you have factored in all the benefits and the risks. The hourly rate of the employee doing the shredding. If you calculate the cost of the lowest paid worker doing a minimum amount of shredding per week or per month, the odds are you’re close to- or more than- the cost of one trip from a mobile shredding truck. The cost of ongoing maintenance and replacement shredding machines. Regular shredding causes wear and tear on the machine- especially if you purchase one that doesn’t handle staples or paper clips. If dust is a concern for your business, shredding documents onsite not only creates more issues for you, it also generates a large amount of paper that needs to be recycled or thrown away. Individually, these costs don’t seem to be very problematic- but over time, especially over a year, you’d be surprised how much you spend monthly on these trivial things. Secondary only to cost (and usually the most important reason to consider an onsite shredding service), is the security of your documents. Federal and state laws require all organizations to protect all confidential and personal information from unauthorized access and disclosure. 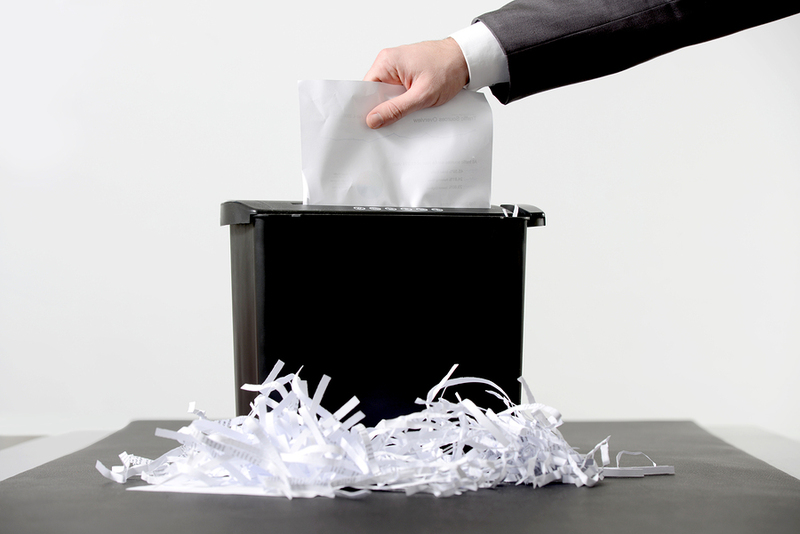 Employees that are given the authority to shred documents have to choose which items are confidential and personal. If you have a non-authorized employee shredding your documents, you’re exposing your company to a huge risk. Not only do you have to consider internal theft of information, but you also run the risk of your proprietary documents and information falling into the hands of your competitors or identity thieves. If you don’t secure your shredding process from start to finish, you run the risk of a breach. With the advances in software for recovering shredded documents, thieves can take shredded documents you discarded and re-assemble them- even if you use the most secure shredding methods available. Time is money- and there’s always a cost when you have an employee spending hours on the clock shredding paper. Those hours that were lost when they were shredding documents instead of doing other important tasks. You also have to factor in the loss of productivity, inconvenience and distractions that shredding paper onsite causes. The sound of shredding paper isn’t something that’s easy to tune out- especially if its a lower-quality machine. Accidents happen, and although someone fixing a jammed or overheated paper shredder could lose some skin or fingers, the most likely scenario is a catastrophic failure when someone feeds non-paper material through a shredder. Paper clips, staples and cd’s are not something your run-of-the-mill shredder can handle, so if these aren’t removed, it can damage the machine. There’s also a limitation on the amount of paper you can shred at one time. The constant use of a shredder that’s not designed for large volumes of paper causes it to overheat, jam, and break down. The end result is usually a trip to purchase another shredder, a backlog of more documents that need to be shredded, and more hours of otherwise productive work wasted. Now that you understand some of the costs and risks of shredding documents internally, what’s next? Off-site shredding: Off-site shredding is ideal if you have large volumes of material. The shredding company you choose will send trucks to your location to collect the material in locked bins to be shredded at their secure location. Mobile Shredding: Mobile shredding is helpful If you are required to witness the shredding of your documents. Industrial shredders mounted in trucks come to your office or facility and shred all the files, records and documents while you watch. Shred Nations can help you find the right service for your needs. If you have any questions, fill out the form to the right or give us a call at (800) 747-3365.